1. 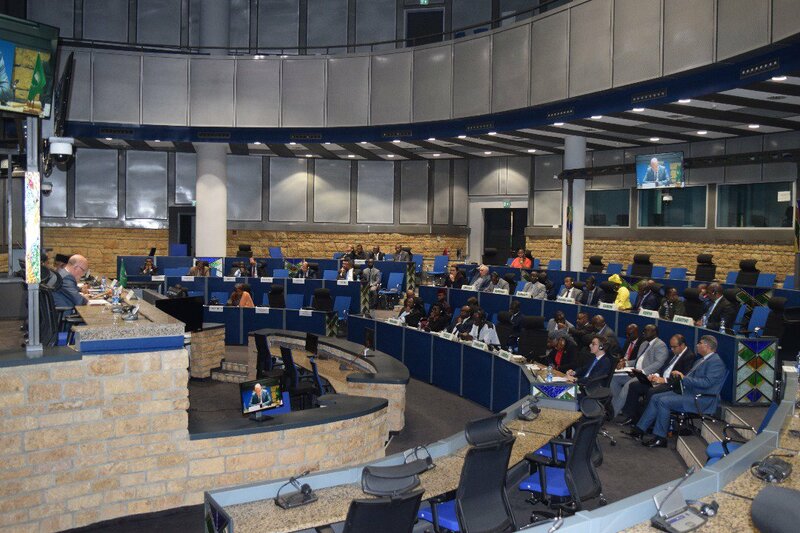 It is indeed a great honor for me to have been invited by this esteemed Organ of the African Union to provide a briefing to the esteemed members of the Council on the legal process for membership of the African Union. 2. At the outset, let me point out that the most important instrument in this regard is the Constitutive Act of the African Union that was adopted in 2000 and that entered into force in 2002 after its ratification by the required two-thirds of Member States under Article 28 of the Act. 3. The critical provisions of the Constitutive Act in this regard are Article 27; Article 29 and the overarching provision of Article 9(c) on the powers and functions of the Assembly as the supreme body of the Union. 4. Since the Act has already entered into force, an eligible African State can only join the Union through the process of accession as contemplated in Article 29 (1) of the Act. Accession to the Constitutive Act has the same legal effect as ratification. 5. In terms of who qualifies to be a member of the African Union, it is very clear from Article 29 (1) that any African State is eligible to be a member. 1. Any African State may, at any time after the entry into force of this Act, notify the Chairman on the Commission of its intention to accede to this act and be admitted as a Member of the Union. 2. The Chairman of the Commission shall upon receipt of such notification, transmit copies thereof to all Member States. Admission shall be decided by a simple majority of the Member States. The decision of each Member State shall be transmitted to the Chairman of the Commission who shall, upon receipt of the required number of votes, communicate the decision to the State concerned. 7. The provisions of Article 29 above therefore indicate the process whereby an African State desiring to be a member takes the step of notifying the Chairperson of the AUC that she intends to accede to the Constitutive Act and to be a member of the Union. The notification of this initial expression of intention must be addressed to Chairperson of the Commission. 8. Upon receipt of such notification, the Chairperson of the AUC would initiate the process outlined in Article 29(2) to the effect that she would circulate the notification of the request to all Member States for their concurrence or otherwise. 9. The concurrence or otherwise of each Member State (the decision of each Member State on the request) as received by the Chairperson of AUC would be noted and then the concurrence would be communicated to the requesting State. 10. It is important to highlight that a part of Article 29(2) regarding the process provides that “Admission shall be decided by a simple majority of the Member States” (28 Members), the receipt of which the Chairperson would communicate to the requesting state. 11. Esteemed members of the Council, it is important to determine the effect of Article 29(2) in terms of the process of membership of the Union relative to Article 9(c) of the Constitutive Act regarding who makes the ultimate decision on the request for Admission of an African State to be a member of the Union. Is it the AU commission? Is it each Member State individually for a totality of 28 such decisions representing a simple majority of current membership as indicated in Article 29(2); or is it the Assembly? These questions must be answered in a legally consistent manner. 12. From all indications, Article 29(2) does not take into account the provisions of Article 9(c). By the provision of the latter (Article 9(c)) on the powers and functions of the Assembly, one of the powers and functions of the Assembly is to “consider requests for membership of the Union”. What does this mean? Who makes that request or who would bring that request to the attention of the Assembly? These are questions that must also be resolved. 13. From all legal reasoning, deduction and interpretation relative to the practice of the Union in terms of organic and sovereign decisions, it is clear that the process articulated in Article 29(2) misses what should be the final and ultimate step clearly envisaged in Article 9(c) – the exclusive preserve of the Assembly to ‘consider requests for membership of the Union”. 14. As the Legal Counsel, after the review of the provisions of the Constitutive Act on admission to membership of the Union as well as the decision making powers of the Assembly relative to Member States and other Organs of the Union, I am of the considered opinion that reading the process articulated in Article 29(2) whereby the Chairperson of the Commission communicates decisions of a simple majority (28) of Member States to the state requesting membership, as the decision of the Union on admission of membership to the Union, is not legally correct and complete. 15. 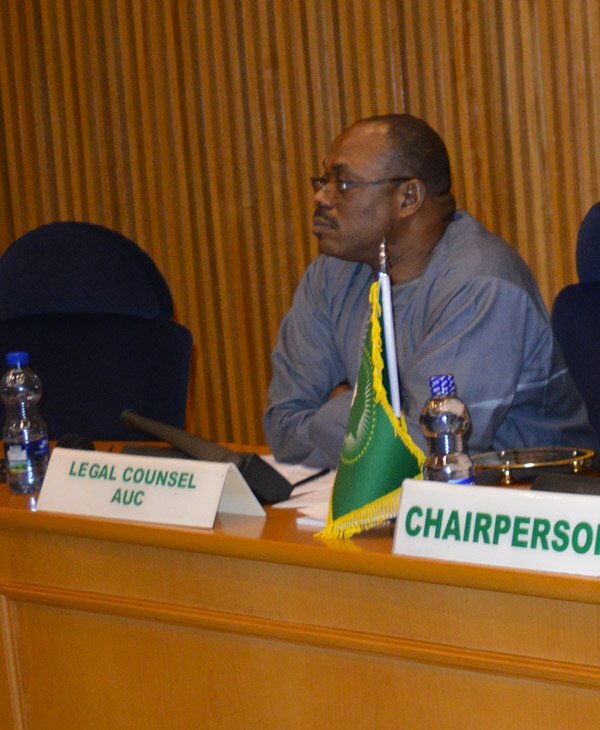 While the Chairperson of the AUC is the Legal Representative of the Union as recognized in Article 7(b) of the Statute of the AU Commission, the exclusive powers and functions that are reserved for the Assembly in the Constitutive Act can only be exercised by that body unless such powers are clearly delegated to the Chairperson. The power and function of deciding on request for membership of the Union has neither been delegated to the Chairperson of the AU nor to any other entity. 16. Because Article 9(c) exclusively reserves the power to “consider requests for membership of the Union” to the Assembly, it would be legally required that the Chairperson of the AUC, in addition to communicating the concurrence of each member state polled on the request to an intending member State, to also inform the requesting state that the request would be placed before the Assembly, which has the ultimate decision making power to consider the request for membership of the Union. 17. In placing the request before the Assembly, the Chairperson of the AUC would then brief the Assembly on the Article 29(2) process that was undertaken. To prevent any conflict with the supreme power of the Assembly to make a decision on membership of the Union under Article 9(c), legal prudence requires that the action of the Chairperson of the Commission under Article 29(2), would at best be a determination of the admissibility of the requesting African State for membership of the Union based on a simple majority of Member States polled on the request. 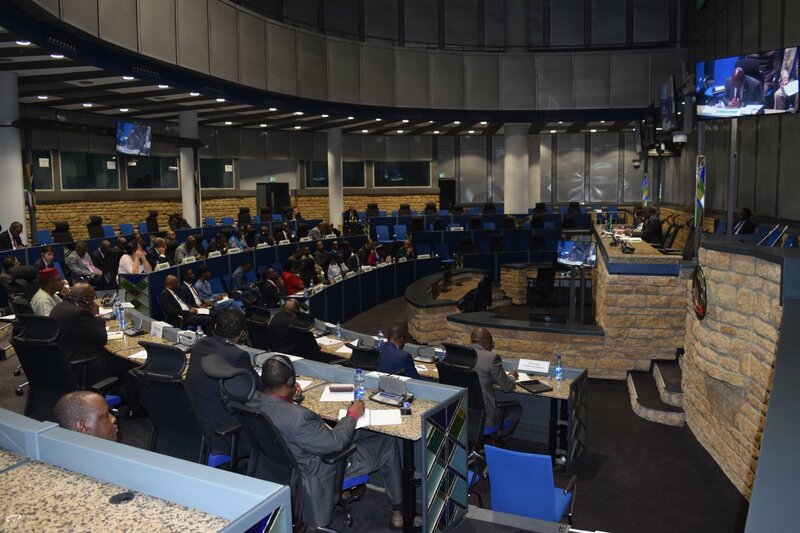 The communication by the Chairperson to the requesting African State would then be a decision on the admissibility of that intending member state, which would then be finally placed before the Assembly for its consideration and final decision. 18. It would be expected that, guided by Article 7 of the Constitutive Act and its Rules of Procedure, the Assembly would then decide on the request taking into account the admissibility decision of Member States polled and as reported by the AUC. The Assembly may also take other factors it deems fit into account in considering the request that is placed before it. 19. Let me conclude, members of the esteemed Council by opining that above all, despite a favorable admissibility decision from the process under Article 29(2) as well as favorable decision of the Assembly after considering the request for membership, an intending African State can only be a member of the Union after it has acceded to the Constitutive Act and deposited the instrument of accession with the Chairperson of the AUC as required by Article 27(3) of the Constitutive Act. 20. As in ratification, accession to the Constitutive Act or any treaty for that matter, is dependent in each country’s constitutional system and practice.